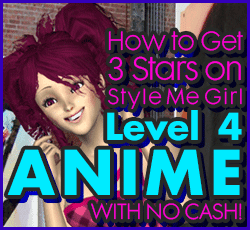 How to Pass Style Me Girl Level 4, "Anime," & Get 3 Stars For FREE! | I Style Me Girl! How to Pass Style Me Girl Level 4, "Anime," & Get 3 Stars For FREE! Hello, hello me girls! I have another 100% free update to post! Replaying Style me Girl level 4, "Anime," theme featuring model Aoi, I received three stars, "Stunning," for the look I created using items that come with the game! Sweet, right? I thought so! If you would like to learn how to pass Style me Girl Level 4, Anime theme & get three stars for FREE, keep reading! 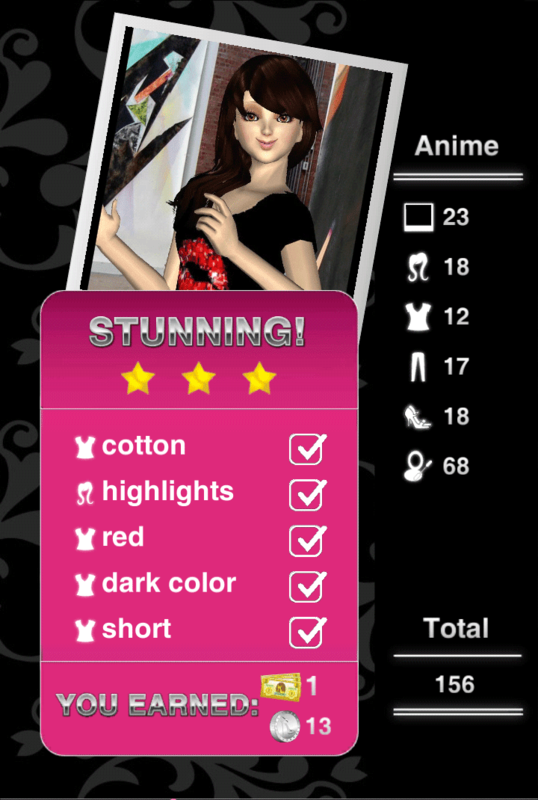 The items I used to earn 3 stars on Style Me Girl Level 4, "Anime," are pictured and described in the list below. 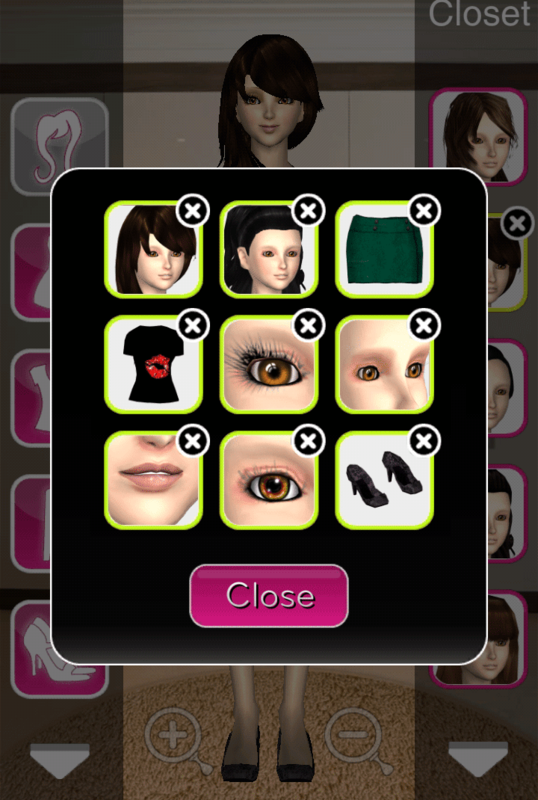 Again, all of these items come with the game for free. The "Closet Items," screen capture image at right can be clicked to enlarge if you'd like a more detailed view. Please do share your thoughts in a comment! Try this? Try something else? How did it work? Let us know! Thanks!